PCRT brings a slate of noted pastors and teachers to two or three churches across the country each year. Since its inauguration in 1974, this conference has attracted overflow audiences to its biblical-expository approach to Christian doctrine. PCRT is the Alliance’s key lay conference. PrCRT is an annual regional conference based on the PCRT model. The conference started in 2003 and continues to grow in attendance and interest. It is a model for other Alliance regional events. 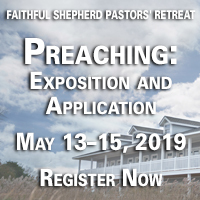 An integral feature of this conference is that it groups pastors according to their geographical region so that they can identify other like-minded pastors who live near them. The Alliance intends to nurture these geographically based networks in relationships through other media, such as Reformation Societies. Local societies of Christian pastors and leaders who meet and labor together for the sake of the Gospel in the churches of local and regional areas. They are informal, voluntary gatherings, where church leaders meet for the joining of hearts and minds in pursuit of actual and practical reformation in their churches relying fully upon the gospel as the particular means given by God for the building of Christ’s Church. The Alliance partners with churches and organizations to promote and execute local events such as the OKC Conference on Reformed Theology and the Reformation Society of Indiana Seminar. The Alliance supplies organizational skills these smaller groups might not possess, such as marketing efforts and promotional materials before the event and a bookstore with reformed resources at the event.